Greetings stash shopping crafty pals!! This week we are making projects for the kids and would love for you to join us! Super cute "moo" card, great design and cute knock, knock joke. This is silly, and funny, and oh so cute! This is sophisticated humour, as I would expect from you and your clan --- I love it!!! HAAAAAAAAAAAAAAA! You got me! I'll have to use that on the kids at school tomorrow! Dang, just tried on Maude and she knew it. Boo. This is adorbz, those cow faces just make me laugh! I mean, look at them! 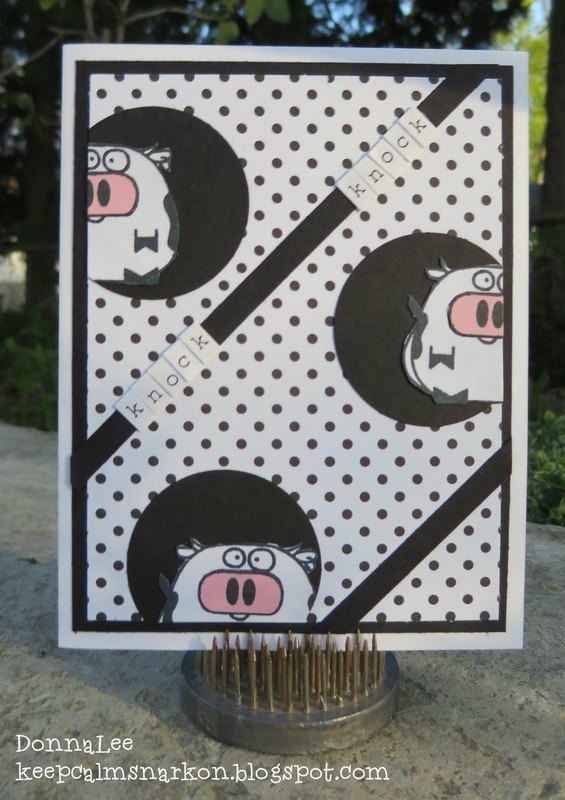 Anyway, excellent use of polka dots with a cow card (well-played) and what a fun layout.